Ranch goes with everything, right? 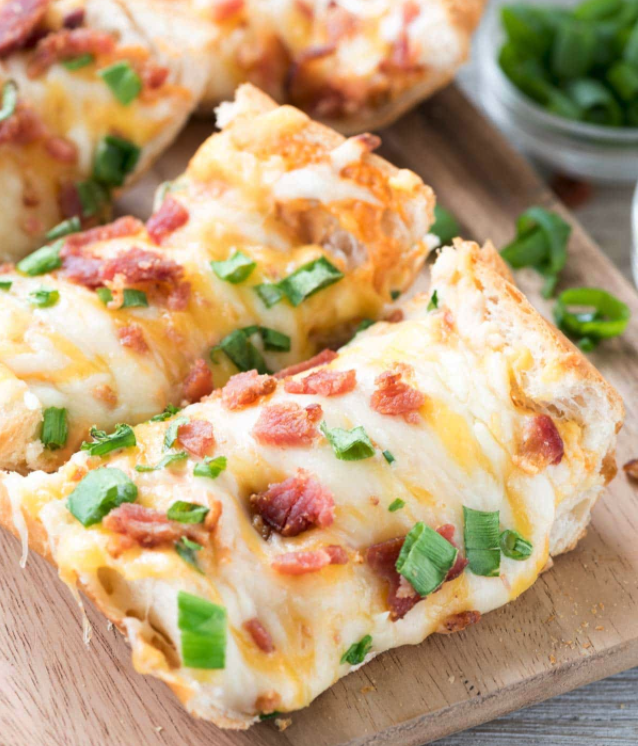 This "pizza" is next-level when made with Milio's signature French bread. 1. Preheat oven to 400°F. Line a cookie sheet with foil and spray with nonstick cooking spray. 2. Slice loaf of Milio’s bread horizontally. Place two halves face up on the cookie sheet. 3. Stir together ranch dressing and pizza sauce in a small bowl. Coat each bread half with sauce. 4. Sprinkle with cheese, then bacon, then onions. 5. Bake for 10-12 minutes, or until cheese is melted. 6. Serve immediately. May be stored in an airtight container for up to 2 days, but best the day it’s made.